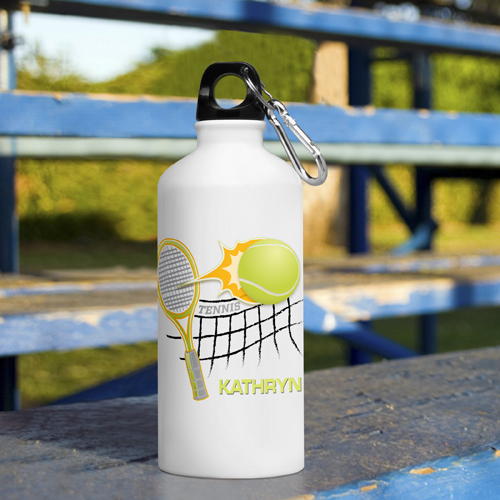 * They'll be staying hydrated in style with these fun Personalized Kid's Sports Water Bottles! 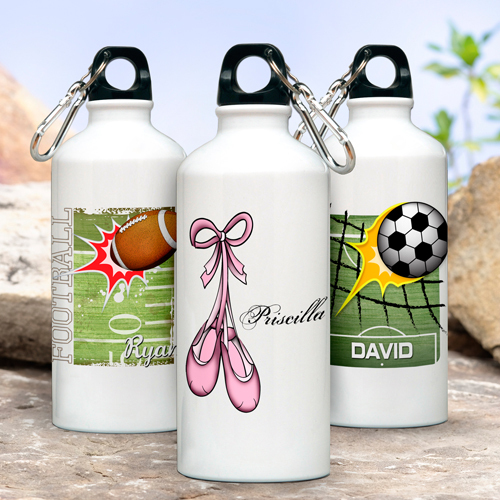 * Available in 8 different designs, these bottles are made of a sturdy eco-friendly aluminum material that stands up to the roughest, toughest kids! * Includes the child's name and a handy clip for hanging on a belt or bag. 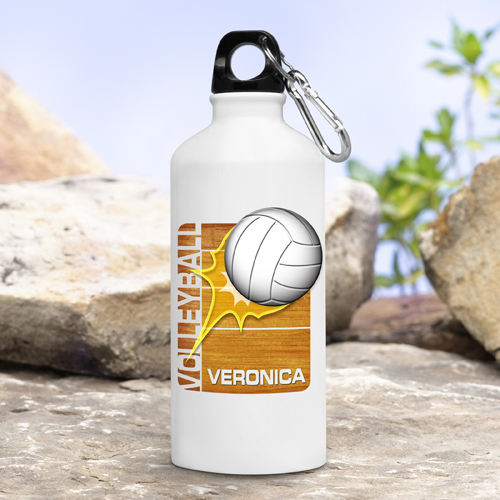 * The bottle holds 20 ounces and features a leak-proof cap and a handy clip/carabiner.